This is a place where you can get information, ministry updates, upcoming events and how best you can partner with Glorious Fellowship Ministries International in Zimbabwe, a spiritual movement taking the Gospel of Jesus Christ to the Rural. I Matthew and Paidamoyo Machisa as the chief founding servants of GFMI have the privilege to trust God to provide for our ministry and living expenses through partnerships with organizations, churches and individuals who want to see the rural Zimbabwe and beyond reached with the true gospel of Jesus Christ. Today people like you are very important to partner with GFMI to fulfill the great commission. Your partnership and friendship will enhance our fulltime ministry through your monthly pledges. We would like to invite you to come and join hands with us by contributing financial support each month. Our Basic monthly support goal is US $1000. For this to be a reality we need devoted men & women of God who will commit themselves to donate between US$5-$50 each month. Donate towards the following NEEDS. It is another exciting time to be in the States again meeting with supporters. My prayer is that God will be able to raise men and women who can partner with us to fulfill the great commission. We need your prayers, friendship, partnership and financial support. You can become part of a mission team that can come to Africa/Zimbabwe for a church planting, medical outreach, Leadership training program or a borehole drilling outreach. Water is a necessity in Zimbabwe as in most rural areas it is difficult to get clean water and most of the times ground water is not easily accessible because that would take professional equipment to achieve, thus donations towards drilling a borehole will play a pivotal role in making sure there is safe water for the villagers. Glorious Fellowship Ministries International undertakes to show the love of Christ in the rural places where we have churches and showing them that we care, can you become part of this and make sure that someone in the remote parts of Zimbabwe has clean water? This is your chance! Below are the needs we have for this 2017 and you can sign up for any need that you feel led towards by the Holy Spirit. Shona Bibles for the believers. Rent for our monthly accommodation, food and bills. Tuition to help with our kids' schooling. Expenses for ministry travel as we move around to encourage the churches. 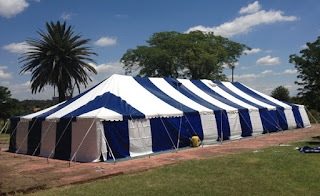 A GOOD SIZE CHURCH TENT TO HELP WITH SHELTER FOR THE BELIEVERS WILL COST US$2000. SIGN UP FOR A DESIGNATED GIFT TOWARDS A CHURCH TENT! 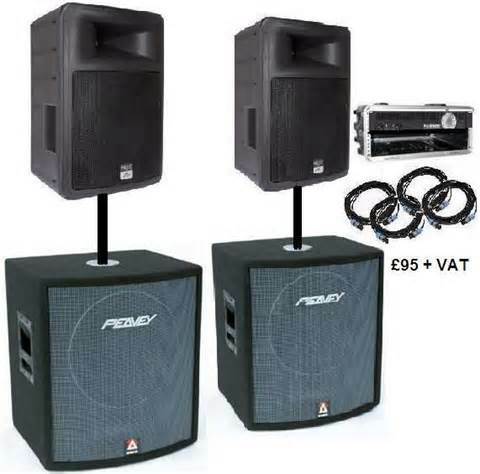 WE NEED A PUBLIC ADDRESS SYSTEM THAT CAN HELP WITH OUR GOSPEL OUTREACHES. PEOPLE IN ZIMBABWE RESPONDS TO THE GOSPEL SO WELL AND COMES IN LARGE NUMBERS MAKING IT DIFFICULT TO ADDRESS THEM WITHOUT A P.A SYSTEM. US$ 1500.00 CAN HELP US TO PURCHASE A SOUND SYSTEM THAT CAN HELP US A LONG WAY. We thank God that we have been able to buy a van from Japan and it is arriving the month end of April. We thank all of you for the support you have given to Glorious fellowship Ministries international. We saw God's grace during our American tour. I praise God as he raising his church here in Gweru. A man gave his Life to the Lord and became part of our church as we had been worshipping with his wife.Yesterday the 24th of July 2012 we baptised 11 believers!It is amazing and we look forward to baptise a few more this coming week. Continue to pray for our ministry to grow and that we may continue to make an impact in people's lives for Christ. Again we have an upcoming conference in Mudzi District in which I am working extra hard to rent a vehicle and take the whole church from Gweru to encourage the churches in Mudzi.All the churches will be meeting at Golden crown centre led by Pastor Sheunopa Sibanda. Pray for financial breakthroughs and that this conference will set a new direction for GFMI through the leading of the Holy Spirit. Pastor Shumba right, posing with a group of church members whom we baptised on the 24th of July here in gweru.This is a major step we have made as a church. Many new souls are being added to the churches in Mudzi.It is exciting that at Here is Life Center the people were added from 10 to 8 people.Last Sunday they were 18!The headman of the area also received Christ. To be a living witness of the Lord Jesus by helping to fulfill the Great Commission of our Lord Jesus Christ according to Matthew 28:18-20. To help believers to live the Christian Life through the power of the Holy Spirit in and out of season characterized by a consistent walk and faith in Jesus Christ. To build the body of Christ by planting new churches everywhere possible especially in remote and rural areas by preaching the true and sound gospel of our Lord Jesus Christ. I have a vision of starting a school of ministry which will cater for training our own leaders in regard with our vision. We need to have the curriculum tailor made to suit our vision so that we produce leaders who understand our vision and why we exist. Rural ministry is a tough task which requires a lot of obedience, faithfulness and focus otherwise it maybe easy to divert and start to look for financial gains. We are looking for partners who can help us achieve this vision which we plan to start mid 2018. We need the curriculum for the school, library to help with research and studies of the emerging leaders. You are free to contact us if you are interested in seeing this vision come to fulfillment. Pray for the leadership development program we have started at church.We are now intensifying leadership trainings as to have people who are capable to fulfill our God given vision. Pray for the Lord's provision for our accommodation rental finances. Pray for the provision of our car for the work of Ministry. Pray for the provision of our pastors whom the Lord is raising to be in full time ministry. Pray for the two church planting we have scheduled for this year in Mudzi District and Harare District that these churches will be able to stand. One of our partner church, Trinity Point is beginning to plan and putting together two teams that will be coming to serve alongside GFMI. We do not yet have fixed dates but provisionally that should be June 2018 for the first team and the second team should come to Zimbabwe in August 2018. Your church can sign up to bring a mission team to Zimbabwe! Email: mattmachisa@yahoo.com for more information. Apart from mission work we will have time make teams connect with our motherland Zimbabwe! You will have a chance to see many exciting things, the Victoria Falls, Great Zimbabwe ruins, Largest game park in africa-The Hwange National park just to name the least. Your gift will take us a long way to impact lives for Christ! To carry out humanitarian work for GFMI. To feed,clothe,educate orphans,the needy,widows,give medical care and spiritual guidance as well. To build homes for orphans,carry out community developmental projects,free health projects in the best manner that reveals the glory of God. Romans 12:2, "And let not your behaviour be like that of this world, but be changed and made new in mind, so that by experience you may have knowledge of the good and pleasing and complete purpose of God." Ministry is a journey that we walk, talk and live for the glory of heaven. It has always been a joy for me to serve the Lord always planning to do the best for my Master Jesus Christ. I give all credit to the Lord Jesus Christ for this far that he has taken us, how he has corrected me to keep focused on the vision of rural ministry, planting churches and growing leaders for the vision. Our ministry started in the midlands province in the city of Gweru, that became my family's home town but that was not the Lord's plan. He spoke to us to move out of that town to go where he really wanted to make use of us! We resisted, but the more we did the more we felt his presence vanishing away from us and the more complicated things became, we lost our joy because of the fight that was going on in our hearts. Glory to God that I and Paida came to a point of understanding the will of God and followed it. Good ideas are not always God's ideas! We had our own good ideas for the city of Gweru and you may want to know how the Lord taught us to obey. We stayed 7 years in Gweru and the church there flourished, we were able to raise many leaders for ministry, we split the church into three and gave other leaders the chance to lead on their own, we were so excited and raring to go but some of the leaders failed completely! Sinful living and marriage challenges worked them down, we lost two church leaders this way. We never got tired, we gave other emerging leaders the opportunity to lead the churches, but as soon as they started leading they would be transferred out of town to other places and we would be left stranded again as all our pastors do something for a living as they serve the Lord through GFMI. Finally we had to close two churches in Gweru and merged them into one church again. I was so much in pain for a long time and asked the Lord why he would allow this to happen and the answer always came out as, "Move out of this place and go to serve where I want to use you" Finally we packed our bags in 2016 to go and start ministry work in Mutoko. We are so revived and refreshed as there is an amazing response, we can work at the new church (Rose of Sharon) and at the same time we can easily visit the Mudzi churches with less struggles. The Pastor we left in Gweru continued to have struggles too, the church just remained unfruitful. The Apostle Paul urged Titus to teach the believers to be fruitful. Titus 3:14, "And let our people go on with good works for necessary purposes, so that they may not be without fruit." We made a decision to just have the church as a house church and transfer the Pastor to come and work with the new church in Mutoko. Pastor Prosper Gumbo will be moving to Mutoko end of September 2017 to take full responsibility at Rose of Church which is currently under the leadership of Paida my wife with the help of Pastor Dickson who will be traveling from Harare occasionally to help whilst I am here in the U.S.
We have scaled down from 7 churches to 4 churches that are thriving in the spirit. Initially it seemed to me as if this was a huge set back but later to realize that the Lord is at work and we are growing strong as a ministry. It is not about the number but the impact we are having in the communities and lives that are being changed for Jesus. What would a mission team to Zimbabwe look like? Note: Every team member who wishes to come to Zimbabwe to work with GFMI must have a heart for the rural, willing to serve and show the love of Jesus Christ to the locals. Zimbabwe is a safe destination and the local people are very friendly. You will have purified bottled water, lodging places available but bringing tents could be really beneficiary as you will have more time with the people and experience much of the local style of life in the villages than to be isolated in a hotel room somewhere. Special dishes can be prepared for the teams in a very healthy and special way! You will get to experience some Zimbabwean dishes and there are places where you can get food like hotels and lodges close to the villages. We would love to do a bit of humanitarian work for the communities we have churches in, it will be nice to preach the gospel and also put a helping hand in the form of food, uniforms for school kids, clothing for the less privileged etc. We need to be holistic in our approach to the gospel. Someone said, "Before you put the gospel into their hearts let it first pass through their stomachs!" Good to care for their physical needs in the same way we care for their Spiritual state in the Lord! So it will be good for every team that comes to have an aspect of humanitarian in mind. We are looking at a team with qualified personnel's (not necessarily in the sense of degrees in ministry but well versed in the fields stated below) coming for the sole purpose of training the church leaders and lay leaders in the churches in discipleship and evangelism. We need refresher courses for the Pastors on how to make sermons, skills on teaching bible study, counseling short courses , Biblical Hermeneutics for the Leaders with responsibility to lead churches. This can be rewarding to keep the local leaders well equipped for the work of ministry. Ephesians 4:11-12 It was he who "gave gifts to people"; he appointed some to be apostles, others to be prophets, others to be evangelists, others to be pastors and teachers. He did this to prepare all God's people for the work of Christian service, in order to build up the body of Christ. A mission team can come to help plant churches and do revival gospel outreaches to strengthen existing churches. There will be opportunity to experience one on one evangelism, Mass evangelism through open airs during the day using music and open airs during the nights using the Jesus Movie. This is awesome and can grow your desire for evangelism as the responses will be really high and revive your spirit too! We are looking at giving the young ones in your church the opportunity to come and experience ministry by ministering to their fellow young ones in Zimbabwean schools and GFMI churches in the villages. It will be good for them to experience the way of life in the villages, get to meet young boys and girls and minister to them with the love of Christ. Glorious Fellowship Ministries International seeks to promote the spiritual lives of the young people in the villages to become the real disciples of Christ as the future church. The future church will die if we fail to impart godliness in our children or the younger generation. Proverbs 22:6 Teach children how they should live, and they will remember it all their life. Ministering strategies will involve sports activities like volley ball, soccer, music and drama. It will be fun but building the kingdom of God at the same time, I promise you that your young one will never be the same again by the time he or she returns home. This will be very crucial for the impoverished locals who find it hard to pay for their medical bills or travel to better hospitals to be treated! It will be good time as they will experience a tender care through the love of God. We will camp at local clinics and treat patients during the day, presenting the gospel to them at the same time and do evening services showing the Jesus film and giving opportunities for people to receive Christ! A mission trip can last for a week or two. The best times to visit will be as from April through August when the temperatures in Zimbabwe are relatively cooler and the villagers will not be working in their fields because summer will be over. So what are you waiting for? Let us know, we can't wait to minister together with you in Zimbabwe! · The Old Testament and the New Testament as originally written and fully inspired of God and are accepted as final, infallible and supreme authority for life and faith forever. · There is only one God who exists eternally in three persons; Father; Son; and Holy Spirit. · Jesus Christ was begotten by the Holy Spirit born of the Virgin Mary and is fully and truly God and fully and truly man. · Jesus Christ died as a substitutionary sacrifice for our sins, according to the Bible, and anyone who believes in Him is justified on the basis of His shed blood. · Jesus Christ bodily rose from the dead, ascended into heaven and presently lives as our advocate and high priest. Jesus Christ the Lord will personally return to earth. · Man was created by God in God‘s image. Man sinned so incurred the penalty of physical and spiritual death. Each human inherits a sinful nature which issues for a person who reaches moral responsibility-in transgression involving personal guilt. · Any person who receives the Lord Jesus Christ by faith is born again of the Holy Spirit and so becomes a child of God. The Baptism of the Holy Spirit is a unique and initiatory work of the Spirit which places the Christian in the Body of Christ. It is a once and for all operation which is universal in all believers. · There is a resurrection of the Just and the unjust. There will be eternal blessedness for the redeemed and eternal banishment for those who rejected the offer of salvation. · All those who have been redeemed by Jesus Christ and regenerated by the Holy Spirit make up the one true Church. The Local church on earth should take its character from this conception of the church spiritual. A new Testament Church of the Lord Jesus Christ is a body of Baptized believers who are associated by covenant in Body operating under the Lordship of Jesus Christ. Essentials of church membership are personal confession of Jesus Christ and the new birth. · The Lord Jesus Christ appointed two ordinances, Baptism and the Lord’s Supper, to be observed as acts of obedience and as continuing witness to the main facts of the Christian faith. · Baptism is immersion of a believer in water as a confession of identification with Christ in Burial and resurrection. It is a prerequisite to the privilege of the church membership and participation in the Lord’s Supper. The Lord’s Supper is the partaking of bread and wine as symbols of the Lord Jesus’s broken body and shed blood as a remembrance for His sacrificial death till He rose. · Recognizing monogamy as the ideal state of family life according to the New Testament, this Ministry places on record its adherence thereto. · To intentionally plant new churches , to offer a comprehensive program of evangelism, discipleship and church planting development. · To develop and implement intensive program of stewardship and promotion. · To develop and promote a dynamic program to, teach and train youths and students then relate them to the local church. · To conduct serious leadership development programs at all levels and trainings where appropriate. · To develop and utilize administrative services for the total GFMI program of work. 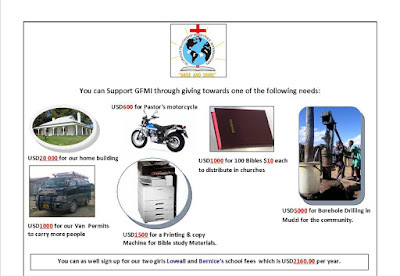 · To develop and utilize effective support systems for pastors and for total GFMI program of work. · To effectively use mass media in developing and promoting GFMI program of work. · To effectively carry out compassion Ministry as a way of community development. · To effectively develop prayer programs and establishment of prayer alters in all churches. · To develop effective cell/home bible study group systems in each and every church. Together we can Impact Lives for Jesus Christ. Praise be to the almighty God for allowing me to meet new friends who are willing to join hands with us as we endeavor to fulfill the Great Commission of our Lord.Together we can make a difference in people's lives for Jesus Christ.My trips to the US has been a blessing.